Want the latest nail trends without the price tags? Tesco have released their Spring/Summer shades, and all for a recession-busting 99p a-piece! 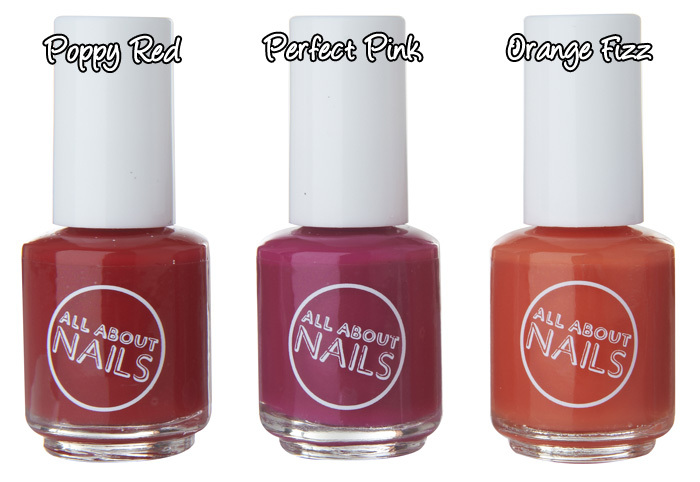 Which one is your favourite and will any be landing in your shopping trolley this weekend? Orange fizz is adorable, but I think the top three are my faves. Gorgeous! 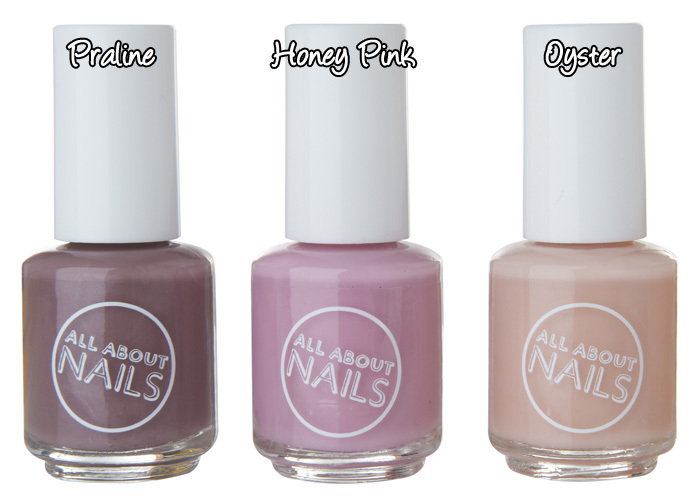 These look really cute, especially Praline…not that I need another murky purple. But for 99p, who can resist?! omgosh! everything apart from the orange is what i’m looking for in my tesco!